Weber, J. Adelaide Bot. Gard. 3: 228. 1981. Cassytha Osbeck. 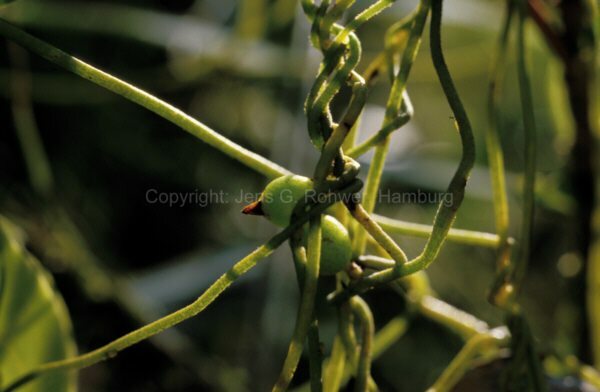 Cuscuta altera f. mahor. Camel. luz. i. p. 1. n. 1. Pet. gaz. 77. t. 49. f. 12. 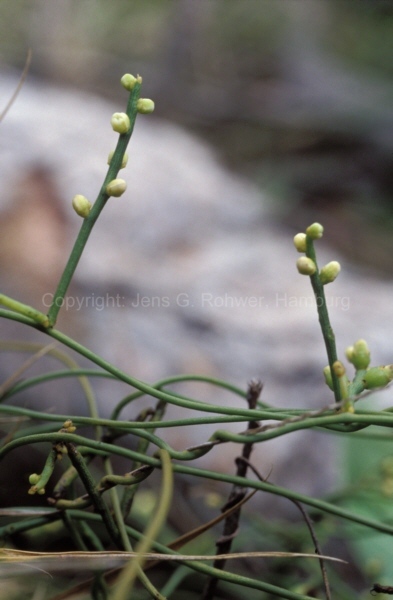 Cuscuta baccifera barbadensium a maritimis. Pluk. alm. 126. t. 172. f. 2. Acatsia-valli. Rheed. mal. 7 p. 83. t. 44. Raj. Suppl. 551. Habitat in India. Lectotype (designated by Imkhanitskaya, 1974: 208): INDIA. P. Osbeck s.n. (Herb. Linn No. 519.1, LINN). Original material: P. Osbeck s.n. (S [05-4065]). Weber (J. Adelaide Bot. Gard. 3: 228, 229. 1981) suggests that Rheede, Hort. Ind. Malab. 7: t.44. 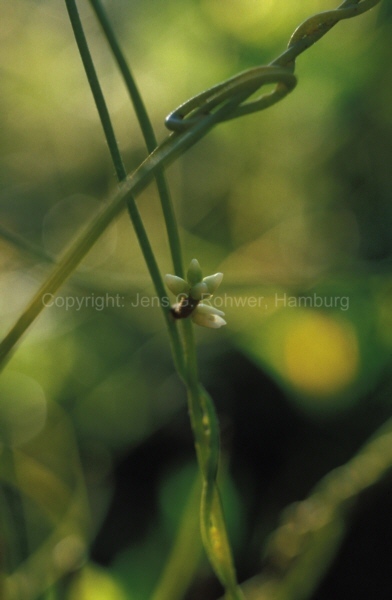 1688. should be recognized as lectotype of this species. However, Linnaeus ascribed the name Cassytha to Osbeck, and there are (at least) two Osbeck specimens in S, #05-4065 and #05-4098.